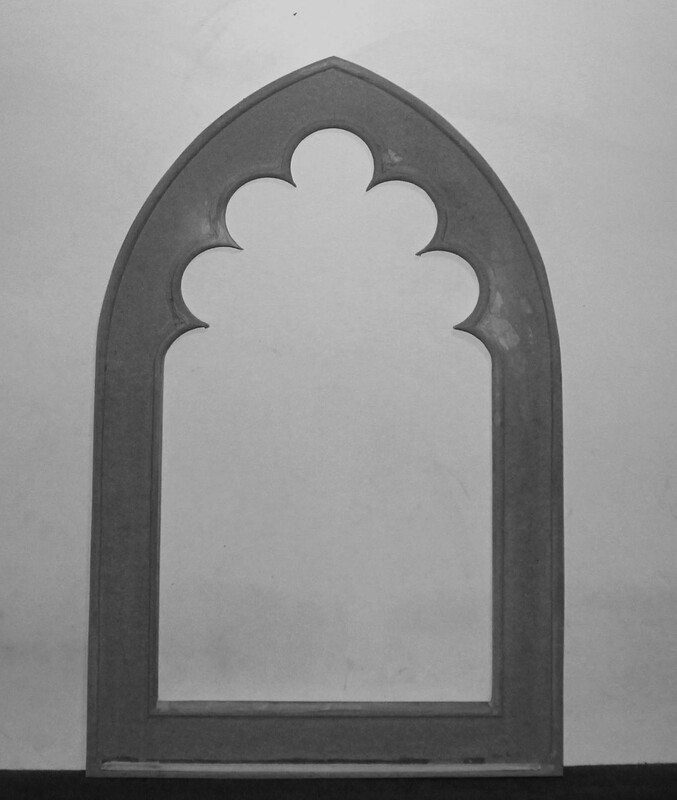 One of the projects that I’ve been putting a lot of time into recently is a book on pushing the boundaries on router trammel work so you can create pieces such as the Septafoil frame shown below. The frame is trammel routed using the Festool MFS routing template long with my trusty Festool OF1010 router. Frames like this are an exercise in geometry and begin as a design on my sketchpad which is where I create the form, and work out the angles and measurements so I can transfer them to my full size panel. A couple of months ago I discovered the General Digital sliding T bevel and since then my design work has moved forward in leaps and bounds. I use the general to set angles in sketches, to assess how a variation in angle changes the structure I’m developing and when I’m happy with a design, to quickly and accurately transfer the design onto a panel. Please take the time to watch the video here which shows more applications for this awesome tool. 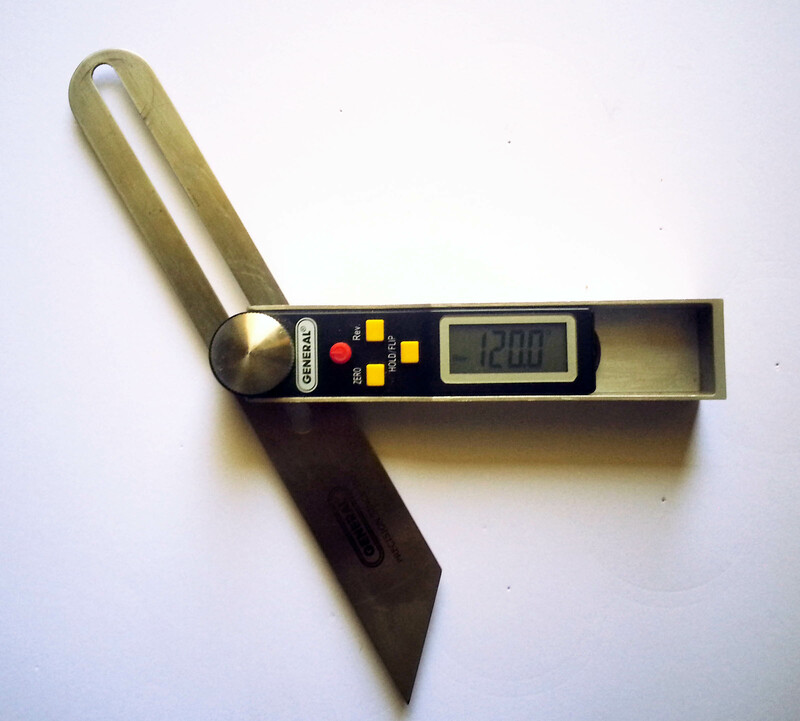 The General has four buttons next to the digital display which you use to operate the tool. Hold Flip, which either lock the current measurement on the display or flips the display so you don’t have to look at it upside down. Reverse, Which changes the display from an reflex angle , (between 180 and 360 degrees) to a an acute angle. All in all this is one of the most useful tools I’ve come across recently and I am certain you’ll find it a worth addition to your toolbox. As always, your questions and comments are appreciated.